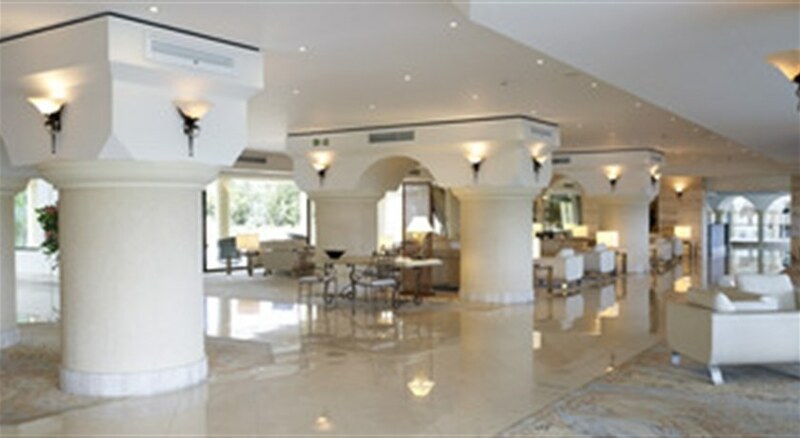 Esperos Palace Hotel is located in the East coast of the island of Rhodes direct on the beach, in a distance of 12 km from the town centre and 3 km from Faliraki. There are 3 swimming pools, two outdoor and one indoor (which is heated when needed). 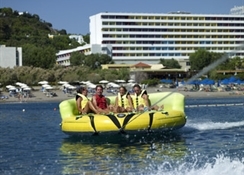 Its most popular feature is the Aqua-Gym, unique in Greece, where you can try gymnastic in the water. 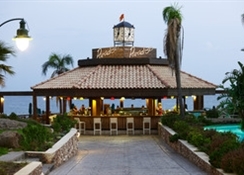 You can choose between 2 restaurants where you would be served with delicious dishes and enjoy yourself with drinks or cocktails in 1 of the 6 bars. 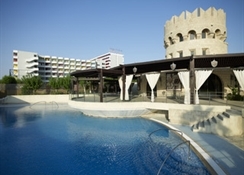 It also includes two tennis courts, a mini golf and a variety of sea sports on the beach. 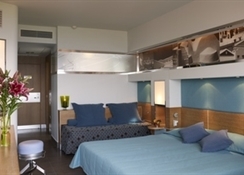 Its proximity to the international Rhodes airport is 16 km.